Simple and satisfying, homegrown spinach (Spinacia oleracea) keeps your kitchen stocked with healthful greens. In most locations, this cool-season, annual vegetable delivers two separate growing seasons each year. Warm weather and spinach don't mix in the garden, so plan crops accordingly. Accommodate spinach preferences for cool temperatures and short days, and you'll reap delicious rewards. Cool soil and air encourage spinach germination and subsequent growth. 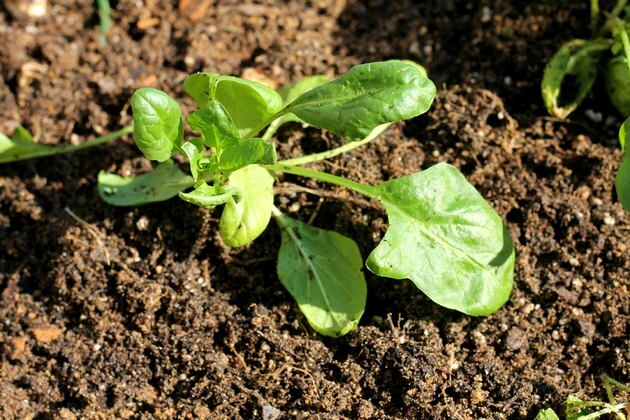 Sow spinach seeds as soon as the soil can be worked in spring -- the earlier the better. Continue with successive plantings every one to two weeks until your area's last expected frost. Once longer days and warmer temperatures arrive, look to fall. For a second spinach season, sow seed in mid-to-late summer. 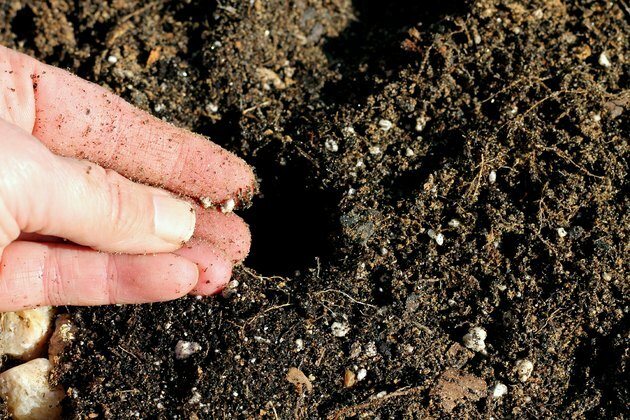 Germination rates drop in warm soil, so compensate for high temperatures by planting extra seed. Don't be concerned about cool weather ahead; spinach tolerates lows of 15 to 20 Farenheit. Cold temperatures concentrate spinach leaf sugars and sweeten their taste. Spinach flourishes in full sun during cool seasons, but intense summer rays overwhelm it. In a process known as bolting, spinach prematurely flowers and sets seed. Once spinach bolts, you can't stop it. The leaves turn bitter and plants weaken. Partial shade helps extend the growing season and delay bolting. For a natural solution, plant spinach where trees provide filtered summer shade. During early spring, full sun streams through bare branches. Unfurling tree leaves provide needed shade. 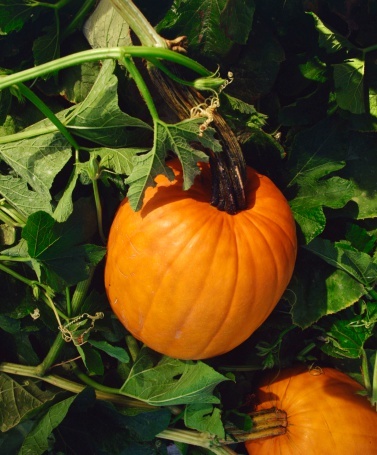 Leaves drop when temperatures turn cool, and autumn crops have full sun again. Extend spring spinach by planting on the north side of slower, taller crops. As days warm and plants mature, spinach enjoys their shade. Well-drained soil and plentiful organic matter support healthy, prolific spinach. 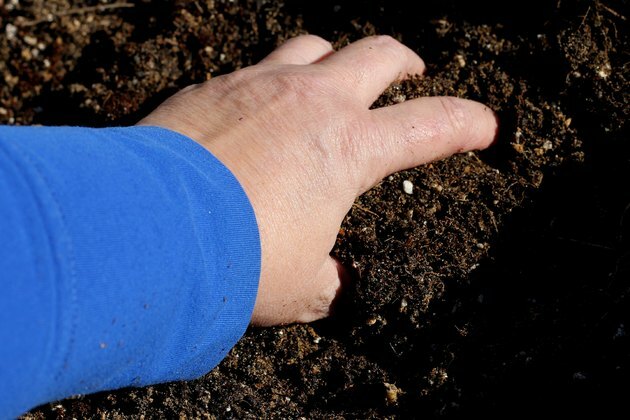 Before planting, work 2 to 3 inches of organic compost into the soil to a 6-inch depth. Spinach prefers soil pH in the near-neutral range of 6.5 to 7.5. The plant withstands higher alkalinity, but it doesn't tolerate acidic soil. 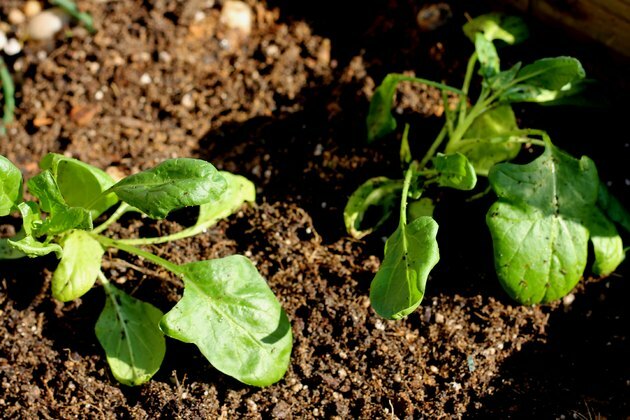 Sow spinach in traditional rows or broadcast seed within wide rows. Keep rows 12 to 18 inches apart, and plant seeds at 1-inch intervals. Thin seedlings to one plant every 6 inches when they reach 3 to 4 inches tall. Overcrowding encourages bolting, so give growing plants room. Send the baby greens you thin to the kitchen. Spinach's need steady moisture; plants bolt in overly dry soil. 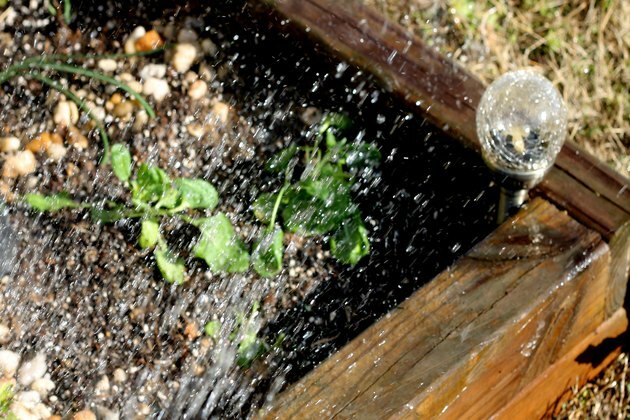 Use 1 inch of water per week as a guide, but adjust to keep soil consistently moist. Once plants reach 4 inches tall, mulch with 1 to 2 inches of organic compost. This helps keep soil cool, retains moisture and reduces weeds. In fertile, organic soil at proper pH, spinach does not need added fertilizers. For depleted soil, incorporate granular 10-10-10 fertilizer into the soil at a rate of 1 1/2 pounds per 100 square feet prior to planting. Wear gloves and safety eyewear, and avoid contact with exposed skin. Use floating row covers to protect the crop from leaf-damaging insect pests. Will Pumpkins Grow in the Shade?